Honda's British built Jazz and Civic are now being offered for with low-monthly payments, and assistance with the deposits. 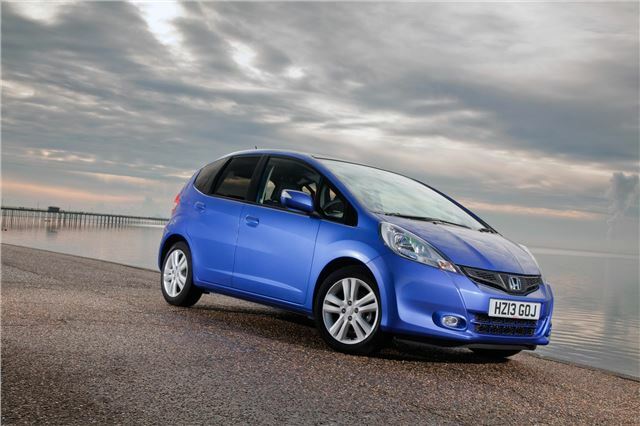 Thanks to a new 0% APR PCP finance package, Jazz starts at £135 and Civic comes in at £189 per month. Deals are being offered across much of the range. Honda Jazz customers receive a £500 deposit contribution, whether they pay cash, or finance the car through one of the flexible packages available. The finance packages include, three-years' 0% APR hire purchase, four years PCP with a 4.9% APR, or a pay half now and pay half in 18 months 0% APR HP deal. All these offers are available on the Jazz Si model. The Honda CR-V is also available with four years 4.9% APR PCP with nil deposit or a 0% APR Hire Purchase. The Honda Civic 1.6 i-DTEC is now in dealerships and if low emissions, £0 road tax, impressive fuel economy and performance weren’t appealing enough, Honda is also offering customers’ £800 deposit contribution and a 4.9% APR PCP finance package. The rest of the Civic range also benefits from a choice of finance offers. When customers buy a Civic they are given £1500 towards the deposit if the customers take’s up the four years 4.9% APR PCP package. This is also available to a cash buyer. Similarly if the car is financed through three years 0% APR HP the customer receives £1000 towards their deposit. For customers that want to purchase a Honda Hybrid, Honda is offering competitive finance packages across the Hybrid Range. With the Jazz Hybrid, Insight and the new CR-Z all available with either a three years 6.9% APR PCP plan or a three years 0% APR HP finance plan. Honda has also announed a four-year service plan, which should help entice buyers into its dealers. It's being offered for £399 across the majority of the range. This offer, combined with Honda’s standard three year road side assistance, three year new car warranty - and combined with the marque's all-round reliability - should help maintain sales momentum. The offers are avilable until the end of June 2013.